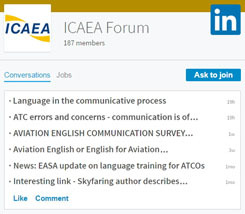 “While communication is universally acknowledged to be critical to aviation safety, industry understanding of communication and language as fundamental aspects of aviation safety has not kept pace with our understanding of other human performance factors,” says Elizabeth Mathews, a former linguistic consultant for the International Civil Aviation Organization (ICAO) and assistant professor at Embry-Riddle Aeronautical University (ERAU) in Florida. Mathews strongly believes that language issues are not investigated with the same degree of systematic and expert thoroughness with which other human and operational factors are considered, and, that there is an urgent need to focus on aviation communications from the perspective of applied linguistics. “Without an accurate perception of the problem, appropriate resources are not allocated, creating a growing safety gap in an increasingly multicultural industry,” she says.